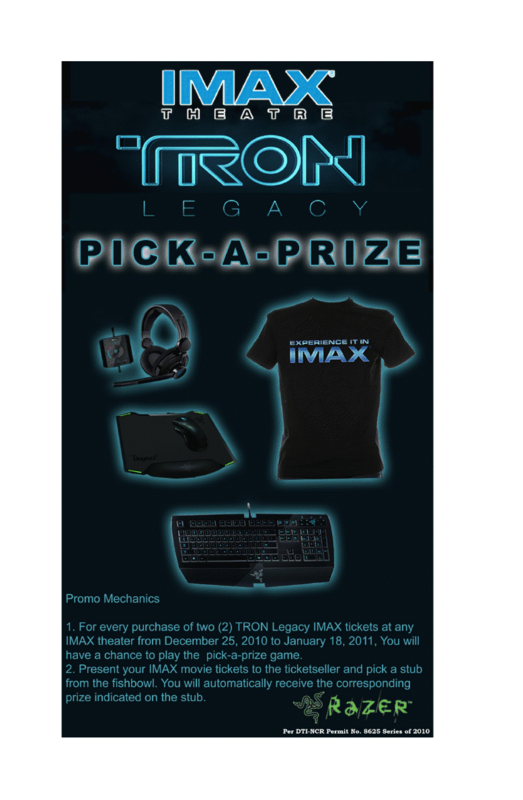 SM Cinemas IMAX Theatre ended the year 2010 with a BLAST with showing TRON: Legacy. (Insert SHAMESS Comment HERE) "TRON IS AWESOME!" FYI~Tron: Legacy is on its last 2 weeks of showing (January 1 - 18), So for those who haven't watched the movie yet, or those who want to watch the movie again and again or with someone else, you better make time! I tell you, it is worth every coins you have, nothing beats the IMAX experience adding to the TRON Experience. Well, I was really looking forward to this movie to end 2010 since I got a Tron: Legacy Experience Sneak Peak before I watched it in full! The 3D experience of “TRON: Legacy” will bring viewers into the Grid, and along for the ride, more than any other film in cinematic history. Using the next generation of 3D technology developed after “Avatar,” “TRON: Legacy” will allow the audience to experience the digital grid and be part of the action in the highly stylized landscape. “TRON: Legacy” will also be presented in IMAX theaters, so the filmmakers are making preparations to enhance the audience’s enjoyment by providing a unique experience. Director Kosinski elaborates: “In IMAX theaters there are several sequences, amounting to about 43 minutes in the film, that will open up to an expanded aspect ratio. The “TRON: Legacy” audiences will discover an exciting, evolved grid that pulsates with the latest technology, stunning visual effects and leading-edge design. 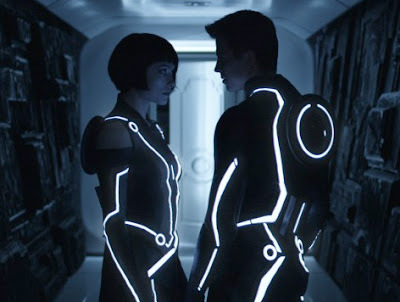 With an insightful father-son story that’s grounded in cultural reality, a strong, relatable female lead and a unique, one-of-a kind style, “TRON: Legacy” blends what’s real with super-imaginative, eye-popping visuals and 3D action! Sam Flynn (Hedlund), a rebellious 27-year-old, is haunted by the mysterious disappearance of his father Kevin Flynn (Bridges), a man once known as the world's leading video-game developer. When Sam investigates a strange signal sent from the old Flynn's Arcade -- a signal that could only come from his father-- he finds himself pulled into a digital world where Kevin has been trapped for 20 years. With the help of the fearless warrior Quorra (Wilde), father and son embark on a life-or-death journey across a cyber universe -- a universe created by Kevin himself that has become far more advanced with vehicles, weapons, landscapes and a ruthless villain who will stop at nothing to prevent their escape. Written by Walt Disney Pictures. So you have questions about IMAX Theatre? I had a previous post HERE.